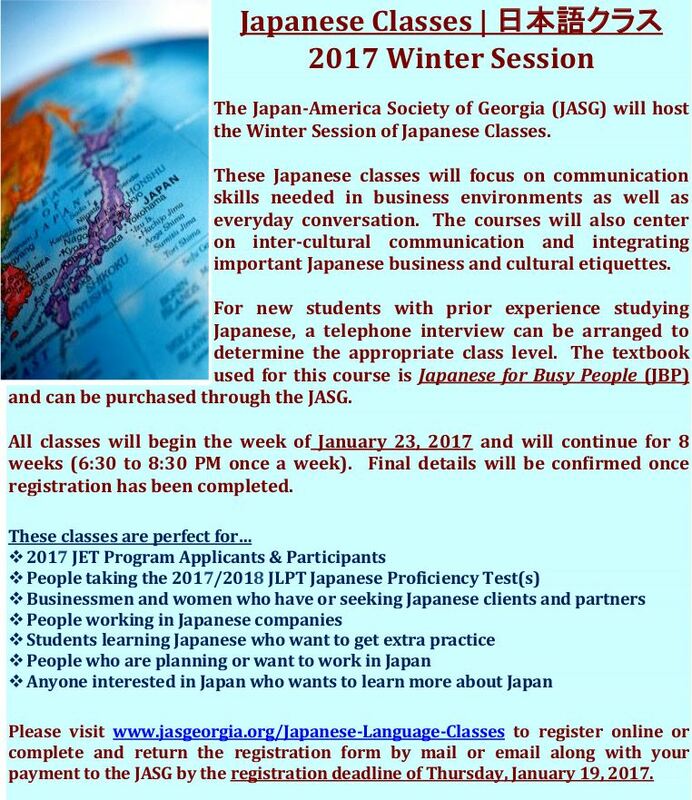 January 23 - March 16: Winter Japanese Classes: A variety of levels of Japanese language classes are offered. Classes meet for two hours, one evening per week, for a total of eight weeks. 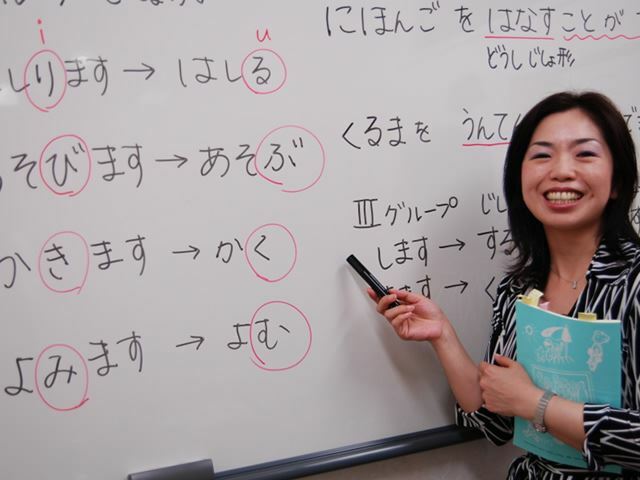 April 17 – June 8: Spring Japanese Classes: A variety of levels of Japanese language classes are offered. Classes meet for two hours, one evening per week, for a total of eight weeks. 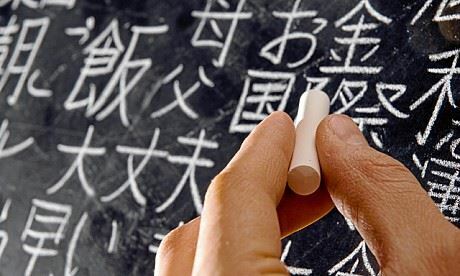 July 10 – August 28: Summer Japanese Classes: A variety of levels of Japanese language classes are offered. Classes meet for two hours, one evening per week, for a total of eight weeks. October 2 – November 30: Fall Japanese Classes: A variety of levels of Japanese language classes are offered. Classes meet for two hours, one evening per week, for a total of eight weeks.